Ingel Sabrina Clay was born on January 2, 1999 in Monrovia, Liberia to the union of Mr. Ignatius Nuah Clay and Ms. Amy Simone Sandiman. She is nineteen (19) years of age. She is dark in complexion, with a height of 5’6’’. Her favourite colours are grey, khaki and black, and her hobbies are reading, writing and hanging out with friends. She started elementary education at the Joseph Jenkins Roberts United Methodist School till she passed to the 9th grade. Then, she enrolled at the Liberian Turkish Light International School in 2012 and stayed there till she graduated in 2016. During her time at the school, she was involved in some academic extracurricular activities such as essay and poetry competitions. 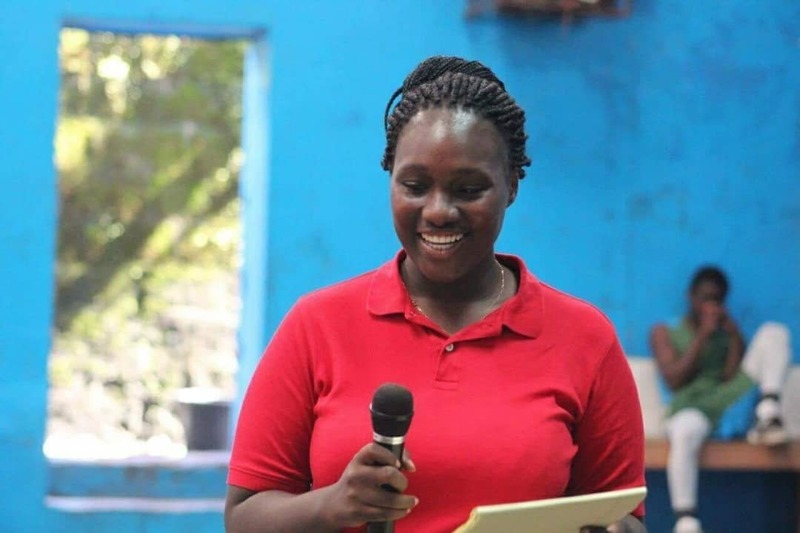 In 2015, she won a poetry competition for the school and it was hosted by UNMIL. She also won an Article competition hosted by the Messengers of Peace Inc. in 2016. During her graduation in 2016, she was awarded an award for scoring the highest grades in English and Literature from grades 9th-12th. She enrolled into Stella Maris Polytechnic in September, 2016, where she is currently studying Business Management and is in her sophomore year. She worked at Capital FM. She is currently the coordinator of the cohorts of peace writers at Messengers of Peace and is also working as an intern at the National Bureau of Concessions. In December, 2017, she joined the Liberian Poet Society where she currently work on the media committee. The Liberian Poet Society is one of the places where she feels at home amongst a plethora of amazing writers and poets. Since joining the organization, she has performed spoken word poetry at many of their events. She loves to write poetry and short stories, and started writing poetry at the age of fourteen (14). At first, it was just to pass time then she realized that she loved doing it and it was a great way of expressing herself. Her pen name is ‘Perphection’, it’s pronounced as Perfection but spelled differently. She chose this name because it reminds her that everybody's perfect in their own way and form. She loves helping and empowering people especially the mentally depressed and disabled. Generally, she is a shy person but smart, innovative, creative and a person who loves challenges and competition.